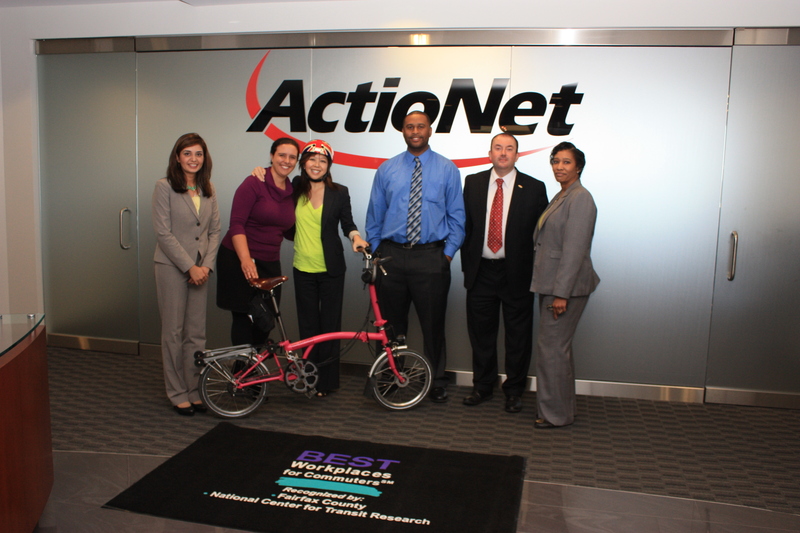 ActioNet was designated one of the Best Workplaces for Commuters℠ by the Fairfax County Department of Transportation (FCDOT). 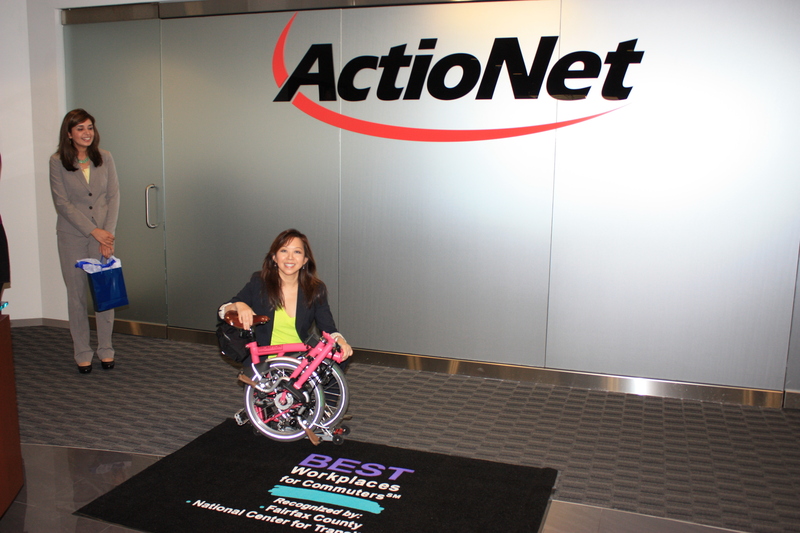 ActioNet provides outstanding commuting benefits to its employees covering both transit and parking. 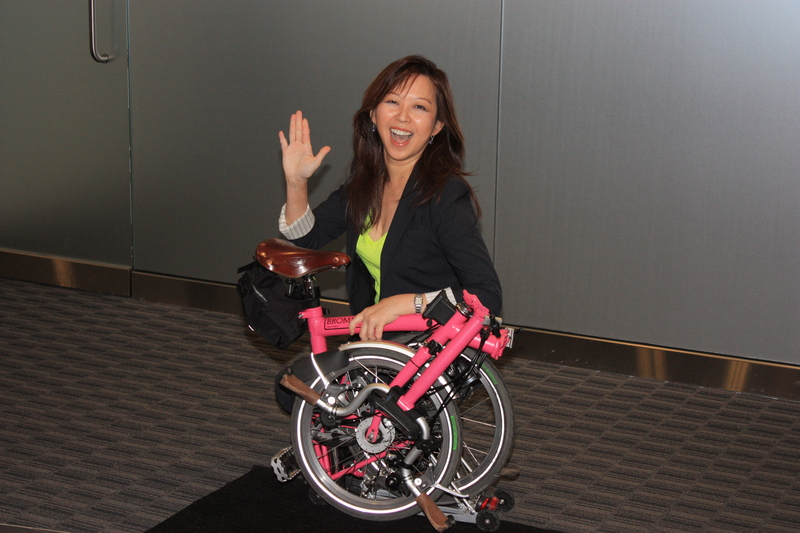 Many ActioNeters commute to work by bike, Metro, carpools and vanpools. 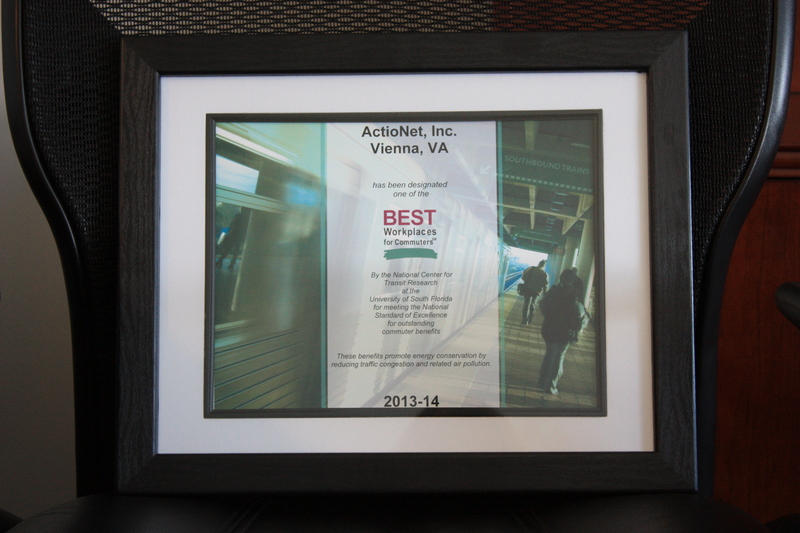 ActioNet is not only a great place for commuters, but a great place to work! 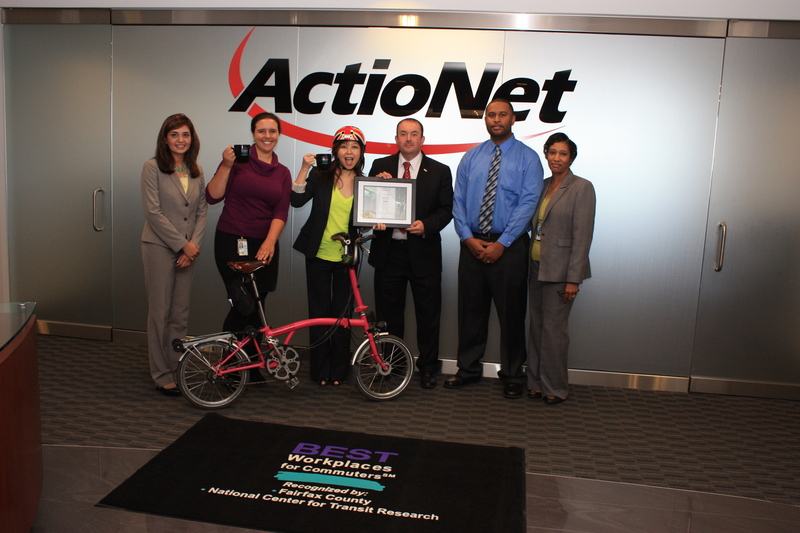 As part of its “Go Green” initiative, ActioNet participates in the Best Workplaces for Commuters℠ (BWC), an innovative program that provides qualified employers with national recognition and an elite designation for offering outstanding commuter benefits, such as free or low-cost bus passes and vanpool fares and strong telework programs. Employers that meet the National Standard of Excellence in commuter benefits join the esteemed Best Workplaces for Commuters List and receive high-level programs and services. BWC assists participating employers by offering public recognition and promotion, technical assistance, training, Web-based tools, and forums for information exchange. ActioNet, Inc., headquartered in Vienna, Virginia, is an SEI CMMI® Level 3, ISO 20000, ISO 9001:2008, ISO 27000, HDI-certified, 8(a) and woman-owned IT Engineering Services Firm with strong qualifications and expertise in Cloud Strategies, ITSM, Cyber Security, Program Management, Infrastructure Solutions, Information Assurance, Software Engineering and IT Business Governance. As an innovation process-oriented company, ActioNet also follows the Project Management Institute (PMI) methodology as well as Information Technology Infrastructure Library (ITIL) standards. ActioNet has outstanding past performance, as evidenced by our “Exceeds Customer Expectations” rating from Dun & Bradstreet and a 92 out of 100 rating from Open Ratings. ActioNet holds the highest 3A1 Financial Rating from Dun & Bradstreet.